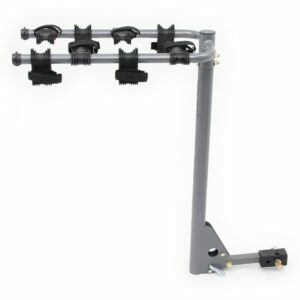 This brand new 4 bicycle rack carrier for cars, trucks, SUVS or minivans with a 2″ or 1 1/4″ receiver. 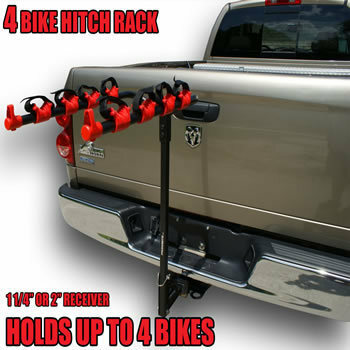 Perfect for bike trails with this hitch rack which can carry up to 4 bikes. It offers easy adjustable support arms and bike hold-downs that separate and firmly hold the bikes. Narrow frame configuration that fits a wider array of bikes and reflective red end caps offer increased visibility and safety. 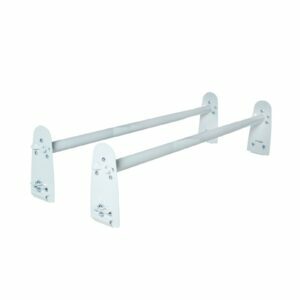 This rack is designed to be installed quickly and without tools. Its fold-away design also allows for rear vehicle access. It completely folds down for compact and convenient storage. 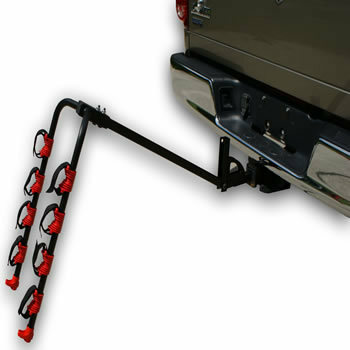 Fits a 1-1/4″ OR 2″ Class I, II, III or IV hitch size. Carries 1, 2, 3, OR 4 bicycles. 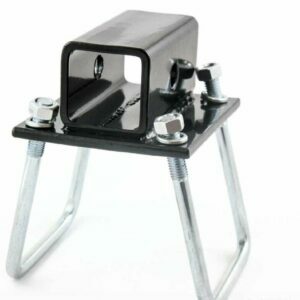 Compatible with 1-1/4″ or 2″ hitch receivers. Tilt away mast to access rear of vehicle. 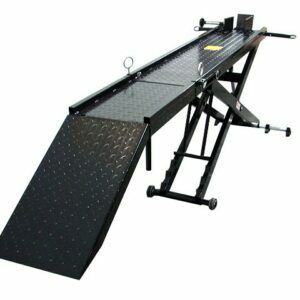 This hitch adapter conveniently converts all 1-1/4″ Class II hitch receivers into a 2″ Class III or IV hitch receiver allowing for the option to utilize it for a 4″ rise in height or for a 3-3/8″ in height drop. Safely transport ATVs, motorcycles, cargo, power chairs and lawn equipment with our 3,000 lb. break strength ratchet tie down strap. Weather and rot resistant nylon webbing for maximum strength. 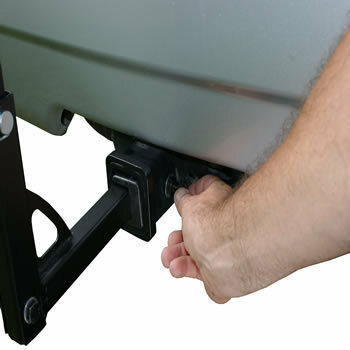 This hitch mounted carrier is the perfect solution to transport your scooter mobility wheelchair. The carrier has a 400 lb weight capacity.